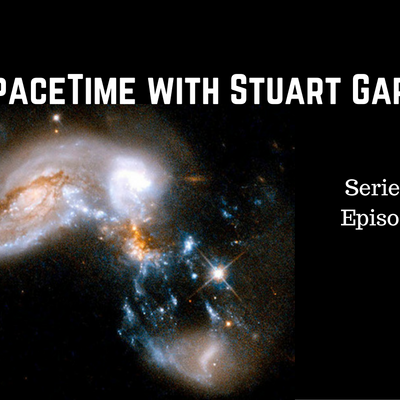 Stream episodes on demand from www.bitesz.com or www.spacetimewithstuartgary.com (both mobile friendly). In this episode: *Solving the mystery of the millions of missing stars Galactic cannibalism may be the clue to finally solving the mystery of the millions missing stars in the centres of some of the biggest galaxies. The study which examined the galactic cores of two of the largest known galaxies – has opened a new window into the processes that shape the evolution of massive galaxies. *Uranus may have additional unseen moons The planet Uranus may have another two as yet undiscovered moons. A report claims unusual patterns just detected in two of Uranus’s dark rings could indicate the presence of two small moonlets between four and 14 kilometres wide. *Meteoroids hitting the Moon at least a hundred times more frequently than previously thought A new study has found that small meteoroids are hitting the Moon at least a hundred times more frequently than previously thought. The findings raise fresh concerns about future long term human exploration of the lunar surface. *Dramatic seasonal changes seen on Titan As Titan approaches its northern summer solstice, NASA's Cassini spacecraft has revealed dramatic seasonal changes in the atmospheric temperature and composition of Saturn's largest moon. The new observations show a polar reversal in Titan's atmosphere since Cassini arrived at Saturn in 2004.